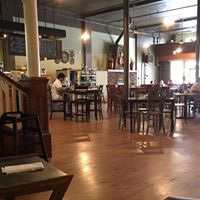 "Sip" back and relax at Phileo's Coffee & Eatery! Phileo's atmosphere is warm and inviting, whether you're dining alone with a good book or meeting with friends. 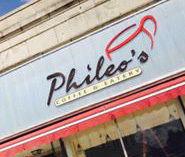 Phileo's is open from 7:30 a.m. to 5 p.m. Monday through Friday and 8 a.m. to 2 p.m. Saturday. Enjoy hot, fresh coffees, espressos, lattes, iced lattes and teas. They also offer fresh salads, wraps, panini, sandwiches and soups. Choose from an assortment of homemade, decadent and lusciously sweet muffins, cinnamon rolls, brownies and bars. Phileo's kids meals are also available. Phileo's healthy, made-to-order menu options are fast and fresh for eat in or carry out. 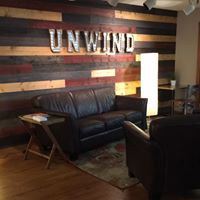 Plus, a private rooms are available for business or group meetings. No cash back. No cash value. No credit given.Not valid on dinner theatre and special events.